A baby to heal their countries and their hearts? When Queen Leyna of Aidara took the throne, she walked away from her first love, King Xavier of Mattan, putting duty first. Now their kingdoms are under threat, and the only way to bring stability is with a royal union. A royal reunion! Possible danger to their people lead two leaders to figure out a plan that will strengthen the bond of their principalities … even if it means stirring up old feelings and leads them to question decisions they made in the past. The characters are both appealing, and I found myself hoping they’d be able to find their way back to each other. Strong characters, well developed conflict and an interesting plot make it a very enjoyable read! Queen Leyna of Aidara made the difficult decision to put duty first when she took over the throne at a young age and chose to end her relationship with her childhood best friend and first love Xavier. She has worked hard to be the best Queen she can be and to keep her kingdom prosperous and at peace. When a possible threat arises, she is put in the position of having to revisit the past and relive her decisions once again. 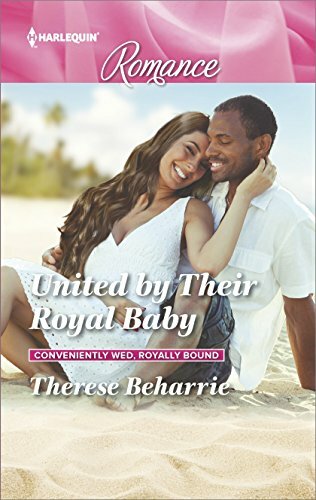 King Xavier of Mattan knows their kingdoms will better off if he and Queen Leyna join forces … meaning they need to wed and produce an heir as soon as possible! When decisions made in the past continue to haunt them, will they be able to forgive each other and find the love they once held in their heart for each other as their future hangs in the balance?